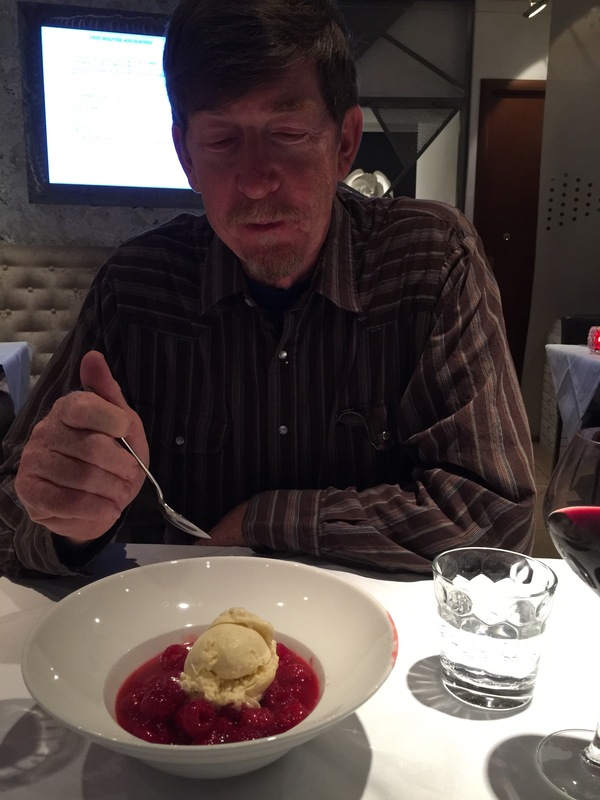 Duke’s 65th Birthday!!! It seems entirely appropriate that we spend it traveling! This morning we took a train to Marseille. 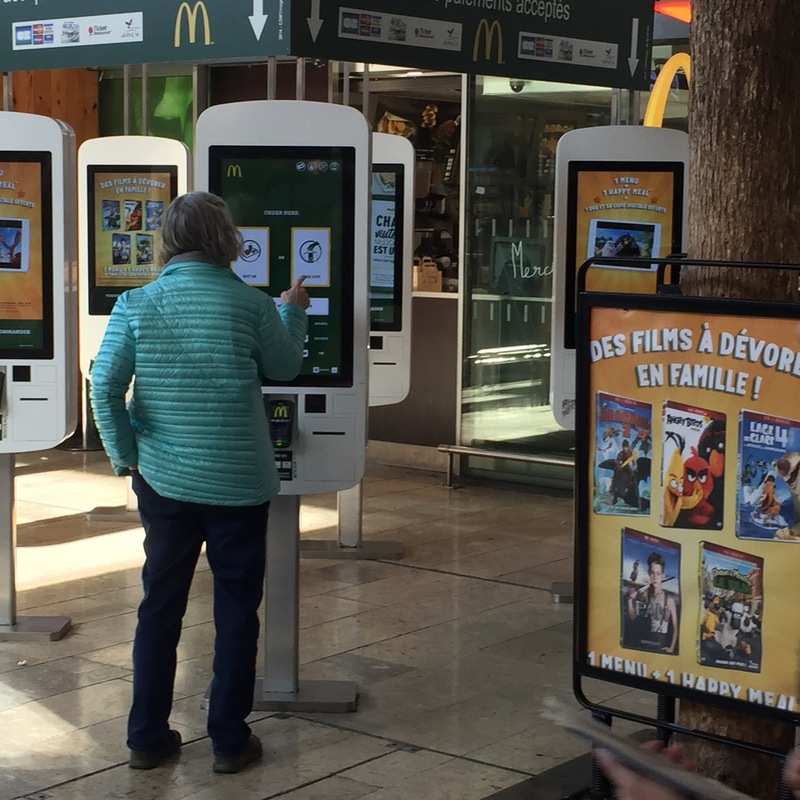 I think it is interesting that McDonald’s in the Marseille train screen has touch screens where you can order and pay . 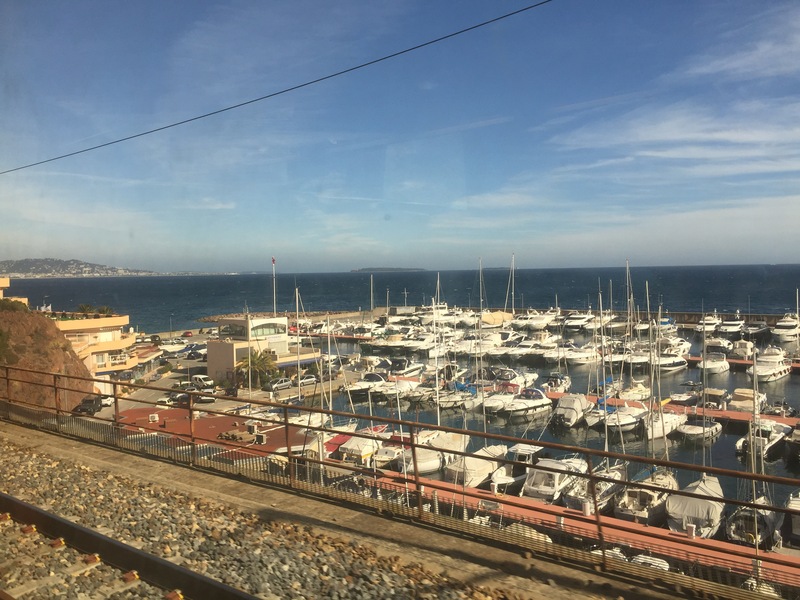 From Marseille we caught a train along the French Mediterranean coast to Cannes. What beautiful country, lots of wine grape vines, old farm houses, and because today was a beautiful sunny day lovely Mediterranean coastline and sparkling blue water. In Cannes we explored a bit . 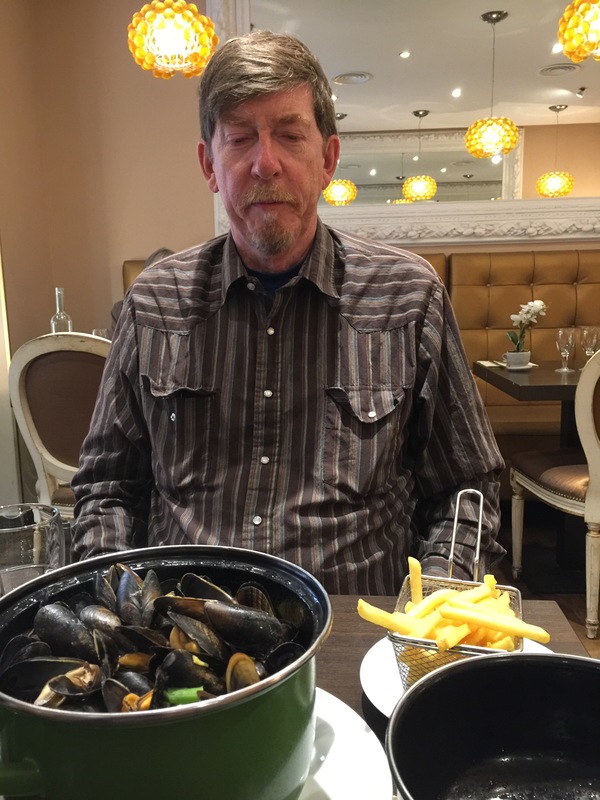 We had a late lunch of mussels and fries. 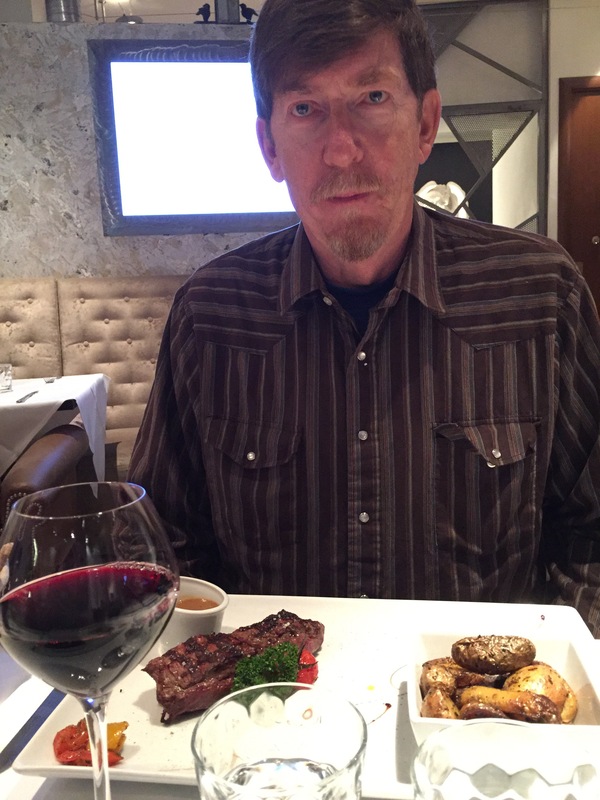 and had a marvelous steak dinner to celebrate the Birthday Boy! 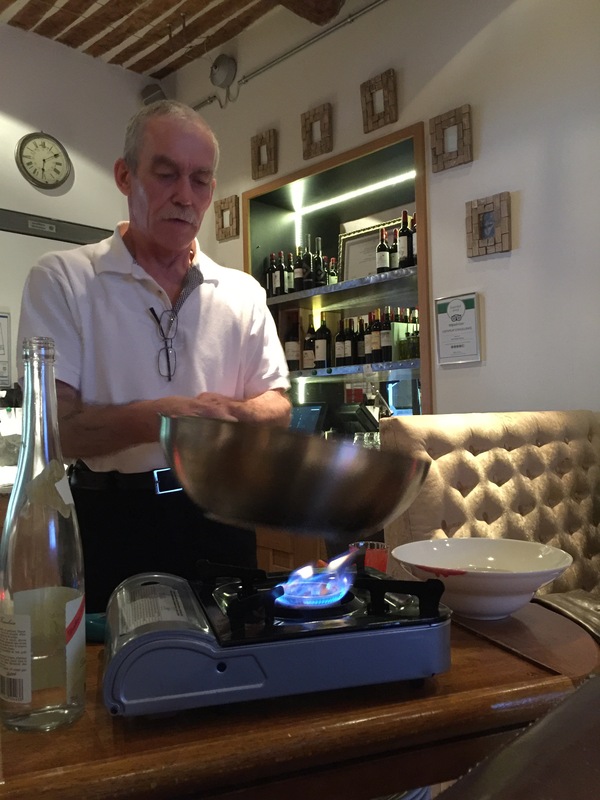 The raspberries flambé with ice cream were spectacular.